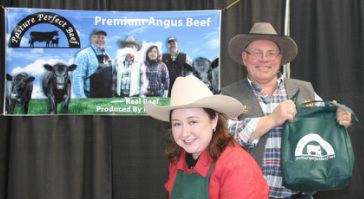 At Pasture Perfect Beef we have always prided ourselves on bringing our customers a pure quality, and specialized product. We are continually searching for ways to provide you with a personal and one of a kind experience. Pasture Perfect is now offering signature tasting events. All hostesses will have to do is invite up to a dozen friends and family over to their house and we will take care of the rest. We will bring our grille, cook you up some of our beef to sample, tell you and your family a little about us, our cows, and our farming and what makes Pasture Perfect Beef taste so savory and delicious. At the conclusion of the event, our beef trailer will be open and full of different cuts of our meat for you to purchase and take home that night. 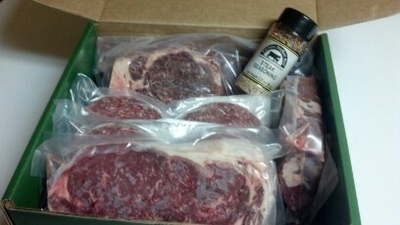 As a thank you to those that host a signature tasting event with beef sales, we will provide you with a gift basket with products that will enhance the flavor and grilling experience. Get your calendar out, pick a date (weather permitting), contact family and friends and give us a call or email to schedule your signature tasting event! 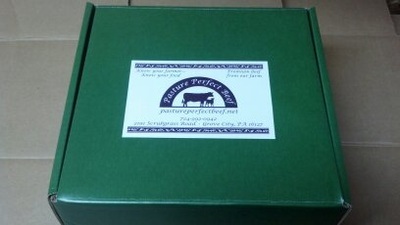 We offer gift boxes starting at $30 and gift certificates are available in any dollar amount. These make great holiday gifts.